I thought I would start with a little bit of eye candy... the cutest little 9 month I know! Not only is she easy on the eyes, but she also has a sweet deal for The Quick Journey readers! Guinnyth was begging me for a pair of arrow print leggings. She thought she just had to have some. 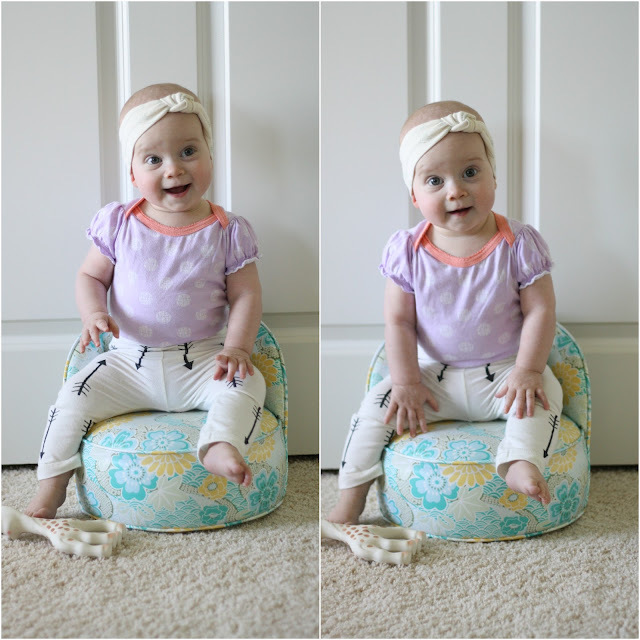 Lucky for her, Little Bow & Arrow had the most adorable pair of arrow print leggings. And, they had a pair that was just her size (just like baby bear). Little Bow & Arrow is a super cute shop that offers baby and toddler leggings to boys and girls alike. There are popping colors, on trend patterns, and geometric prints. What is so special about leggings? I'll tell ya- leggings are so universal. You can pair them with a sweet T, or put them under a dress or skirt. They are also a perfect clothing option for little boys. Slap on an adorable pair of legs with a button down and a slouch hat- you are good to go! Little Bow & Arrow hand stamps all their fabulous leggings. The nice thing about that, is you will have a unique pair of leggings just for your little one! One special reader will receive a pair of leggings for their little one! I hope that adds a little sweetness to your day! So cute! I'd love a pair for my baby! Ooo I would choose the black with gold stamped leggings! So so cute! so so so so cute!!! My little girl is nine months and would look so darling in these. I like the white ones with arrows or the black and gold pair! I like the red and white hand painted size 2 T.
I love the white with black arrows! I would choose the white with black arrows! too cute! 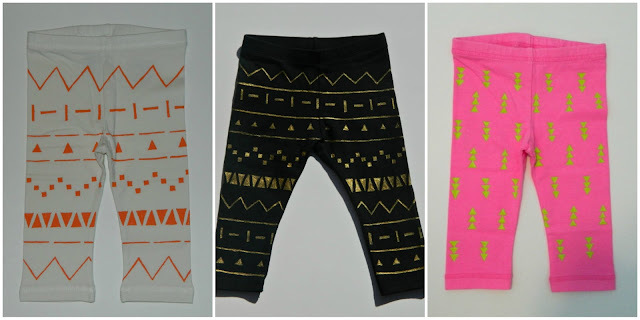 I like the white hand printed toddler leggings with black arrows! I would choose the white leggings with the lime green pattern. How do you get your husband on board?